Scratching posts are an essential cat accessory in your home. Whether in the wild or in your home á cat's natural instinct is to scratch, they scratch to mark their territory, sharpen their claws and exercise their legs. If your cat is not provide their own scratching furniture, then they will use your furniture as their personal scratch pad,which will cause irreparable damage to your furniture. 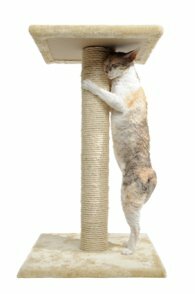 Now that we agree that a scratching post is essential in your cat friendly home, here are some guideline that will help you in choosing the right one for your feline friend. Scratching posts come in many types of material soft carpeting, wood, corrugated cardboard, sisal rope and synthetic lambskin. 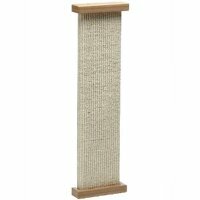 Although it is very popular to see the scratching posts that have the pretty beige or tan soft carpeting, which can easily fit into your decor, most cats prefer the sisal material, due to it's roughness which allows your cat to dig their claws into and truly enjoy a scratching session. Sisal also catches the front claws so your cat can pull downward and release the sheath to expose their new claw underneath. Not only is sisal rough and much more pleasurable for your cat, it is also very durable, ours has been with us for several years and is still doing it's job. If your cat isn't a big fan of the sisal, try a wood one, our youngest loves anything wood. It's important to make sure that you purchase a post that is tall enough so that when your cat stretches, he/she can easily get a full stretch when your cat reaches up to scratch. Cats love to stretch, especially after a nice nap, and due to their claws when they stretch they scratch. Posts come in many different sizes, from ones that are smaller and perfect for kittens, to really tall and big like cat condos. A very important aspect to any scratching posts is that it is stable and steady. The day that cat posts falls near, beside or on your cat, will probable be the lasst day he/she uses it. Keep in mind that when your cat stretches they are pushing their body weight unto their posts, so a stable steady post that can handle this pressure is essential. The base of the posts should be wide enough to maintain stability. The best place to place your feline friend's scratching furniture is in a visible area in your home where they can easily access it. cats love to stretch after their nap, so a recommended place to place their posts would be close to their cat bed or chosen sleeping area. If your cat has started to or periodically stretches and scratches your furniture, placing a scratching post next to that particular piece of furniture will assist in encouraging your cat to use their posts instead of your couch. 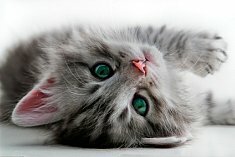 If you have a multiple cat home, you may want to have more than one scratching furniture, even with one cat having more than one posts and placing them next to your cat's favorite nap spots can help to deter your cat from using your furniture and encourage them to regularly using their post. 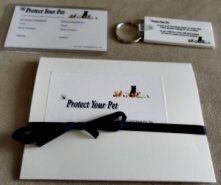 It is always best to introduce any new accessory or product to kittens, they are very adaptable and will carry their learnt behavior into adult hood. To encourage a kitten or adult cat to use their scratching post, spray it with catnip spray or place some fresh catnip, which usually has a stronger scent and effect, on the posts. 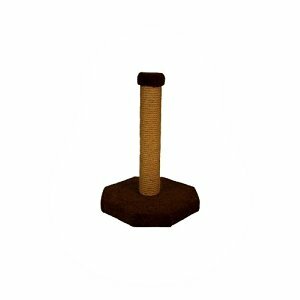 You can also place some of your cat's favorite cat treats on the posts to encourage and reward them when they use it. Placing your cat in front of the posts, and gently using their paw or paws to scratch the posts as been a technique that many cat owners have used, however this works best with kittens instead of adult cats. One things that we did that worked effectively with both kittens and adult cats was to dangle our cat's long tailed tease cat toy which they love in front of the post, after doing this a couple of times, they became used to the post and started using it. 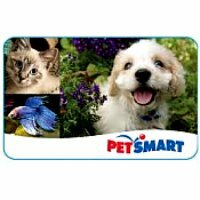 Always reward your cat after they use their scratching furniture, either with praise or a cat treat.